Should You Be Offering Guest WiFi? Considering adding Guest WiFi services to your wireless network? Great idea! Learn more about some of the interesting benefits of offering guest login at your business. Hi! I'm Kevin, from SecurEdge Networks. Considering offering Guest Wi-Fi?... Great idea! Let us help you get started. Whether you are starting a new project, or simply want to update an existing wireless network, including guest network services as part of your Wi-Fi solution is critical. Implementing Guest Wi-Fi allows your network to identify new users and devices on your network and assign the appropriate network access controls. This means you can prioritize important users and devices like point-of-sale systems and office computers logged in on the main network, and still provide secure and reliable Wi-Fi performance for users and devices connecting to the guest network. This process of role-based access control also creates a more secure wireless network environment. By segmenting the traffic, you can manage device and user permissions for everyone accessing the network. Keep confidential information out of reach from guest users and ensure safety and reliability for everyone on the network. Interested in learning more about the behaviors of your wireless users? With guest services from securedge, you'll get access to valuable analytics tools. See in real-time how many devices are connected to the Wi-Fi, how long the average user stays connected, troubleshoot wireless performance issues, and track trends over time to better inform your marketing and sales efforts. If that piqued your interest, stay tuned! Securedge guest manager also allows you to create custom splash pages right from your securedge Wi-Fi dashboard. Upload images, logos, and sponsored messages to greet your guests. Choose how guests' login, with email or social media, and redirect them to special messages, promotions or advertisements. If you're looking to create a secure, reliable and memorable experience for your users, Guest Wi-Fi is a must. 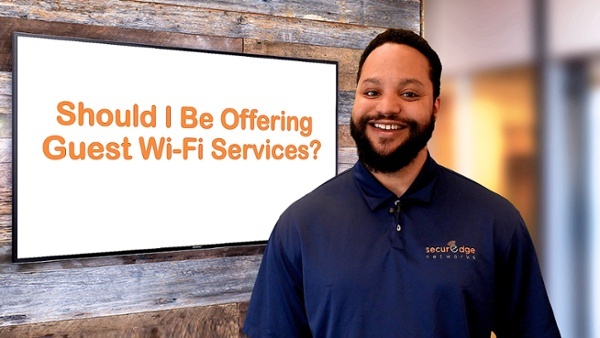 Check out the link in the description below to learn more about how you can upgrade your network with Guest Service from SecurEdge. Want to learn more about guest wifi services or enterprise-grade wireless design from SecurEdge? 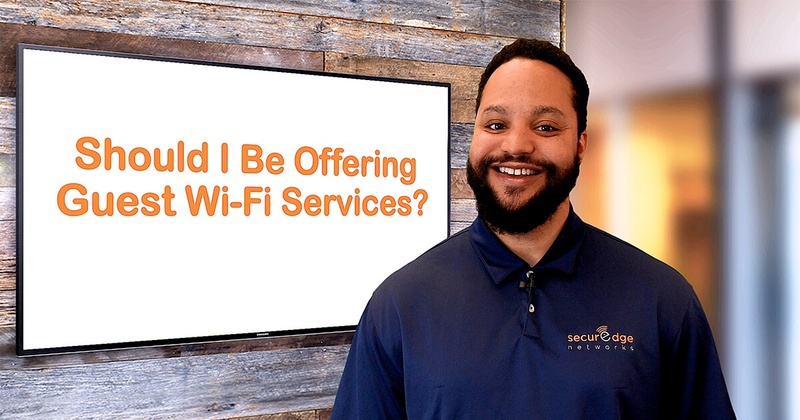 Schedule a call with one of our WiFi experts. Kevin is the Manger of Business Development. He enjoys piña coladas and getting caught in the rain. Previous Post: What Can You Expect from a Predictive Wireless Design?